CORRUGATED supplier SAICA Pack scooped a top award at Pizza Hut’s recent Supply Chain Conference 2018. The firm was named non-food supplier of the year at the annual conference, which took place at Heythrop Park Resort, Oxford. Judges highlighted SAICA Pack’s collaboration with Pizza Hut and Universal Studios to produce a limited-edition pizza box promoting Jurassic World: Fallen Kingdom. SAICA was recognised for its efficiency, quick response time, creativity, and for the delivery of urgent digital print. 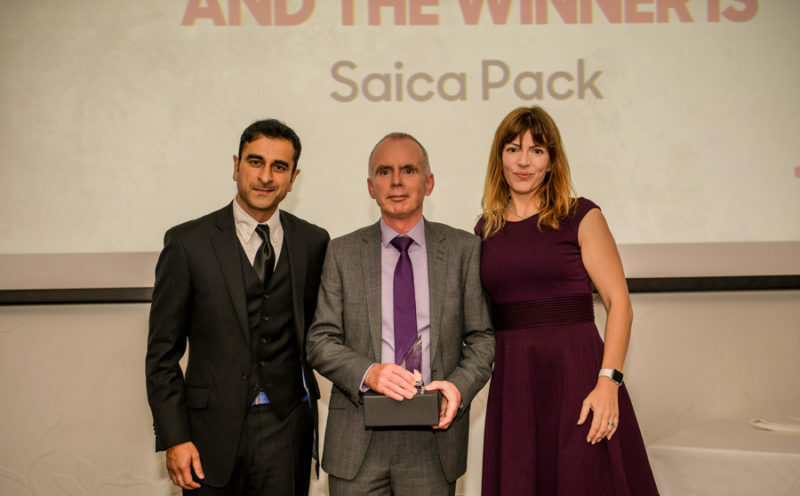 SAICA Pack’s design team was also nominated in the ‘Passion for the Brand’ category, while the firm’s account manager for Pizza Hut, Andy Grey, also received special recognition in the ‘Account Manager of the Year’ category.